Home › 5 (2017) 36 › Can Architecture Embody Good and Evil? Whether it is the Parthenon or the Colosseum, the Tower of London or the Palace of Versailles, Cologne Cathedral or the Reichstag building in Berlin—images of historical buildings frequently feature in school history textbooks, and visits to the sites themselves provide a valuable learning experience. The Eiffel Tower and the Sagrada Familia top many tourists’ must-see lists. However, do historic works of architecture carry a significance beyond textbook and picture-postcard images? Unlike approaches which allude to the history of images, or visual history, research into historiography and history didactics pays relatively little attention to architecture as a historical source and its role in historical cultures. This is unfortunate, however, as there remain several significant connections which could be explored. Architecture is the subject of innumerable visual representations and interpretations in paintings, drawings, and photographs. Each of these generates their own image of history and helps to shape people’s perceptions of past eras. Famous buildings evolve into instantly identifiable hallmarks which are seized upon by the tourism industry and circulated worldwide in visual media. They thereby become defined by the impact of their image and emblematic of a particular place or time. In textbooks, by contrast, the illustrative function of works of architecture predominates. These images act as representations of political institutions or systems (Reichstag building), as epitomes of a particular style with positive connotations (Acropolis), or as exemplary artefacts of cultural achievements in architectonic form (Gothic cathedrals). Is Architecture a Reflective Image of its Time? History didactics places considerable emphasis on the potential which is generated by engaging with representations of architecture in images, with architecture in situ, and with architectural spaces. Key benefits of using on-site architecture in teaching can be drawn from experiencing buildings’ permanence and reality as well as their visual coherence and perceptible solidity in their space. Other advantages include the authentication of the past which such buildings supply through their status as its physical trace, and their visible embodiment of time and its passing. Despite all this, what is the actual nature of the connection between historic architecture and historical reality? We might find ourselves drawn all too quickly to ostensibly obvious and clear-cut conclusions, in which we regard architecture as the manifestation of a particular historical period with specific characteristics. In addition to this, we also run the risk of drawing rash parallels between buildings and architectonic norms, societal standards, and practices, and of viewing architectural works as embodiments of the political, cultural, or social settings in which they came to be. Such thinking imbues architectural forms and materials with the status of symbolic and selectively employed signifiers of meaning for a zeitgeist or an era. One example may be provided by illustrations contained in textbooks which point to the use of architectural forms from ancient Greece (the Parthenon) in prestige buildings of European culture (the Brandenburg Gate, the Austrian Parliament Building in Vienna, the Capitol in Washington D.C.). In the same example, images of works inspired by classicism and linked to more disturbing features of that culture, such as colonial power and the oppression it stimulated, are simultaneously omitted from such textbooks. How might we resolve the epistemological dilemma of associating architecture with an image or allocating it into social, mental, societal, or political categories? How can we emancipate ourselves from the interpretative practice of assigning the capacity to provide a statement on an entire culture to an architectural work? One way forward may be an interpretation of architecture which takes account of the historicity of perception and the mutability of ascriptions of meaning. A vast range of acts or alterations can modify these ascriptions and in turn the contexts in which works of architecture are perceived. For example, the aesthetic worth of a building and its value as a memorial are rediscovered when historical relevance is attributed to a building. This applies to cases when buildings are used for purposes other than the original or consciously allowed to decay, when ruins are preserved, when the representational purpose of a building is changed, or when an architectural work evolves into a tourist magnet. Far from being timeless and, therefore, literally ‘set in stone’, the significance of architectonic features is both dynamic and polyvalent. The imposition of value-laden categorizations on architecture runs the risk of creating false certainties. Material and form do not in themselves represent specific worldviews. The immanent significance of stones, bricks and mortar is regarded as being negligible to nonexistent. By attaching political meaning to architectural works or by denigrating the quality of a work on the basis of moralizing assumptions, this may lead to an interpretative dead end. Buildings are not good or evil, in spite of what one particular documentary shown on German television, which referred to National Socialist architecture as ‘buildings of evil’ (böse Bauten), would have us believe. Not for the first time, Raphael Rosenberg has pointed out that the notorious monumental structures of the Nazi era featured a stripped classicism “typical of government buildings throughout the world at that time.” He further elaborates that it would therefore be incorrect to label this style as a characteristic expression of National Socialist ideology and even less appropriate to go as far as considering it as its symbolic embodiment. The buildings certainly fulfilled their purpose of demonstrating the magnitude and power of the totalitarian regime; their message was explicitly intentional. Nonetheless, exactly the same materials and forms could equally be associated with an opposite meaning. In other words, an architectural work’s formal features—its pillars and columns, its stone cladding, its monumentality, symmetry or axes—cannot be deemed to provide incontrovertible or even sufficient evidence of its representation of a regime’s dictatorial character. One example supplying emphatic proof of this assertion is the Eritrean capital Asmara, which was declared a UNESCO World Heritage site in July 2017. Its ensemble of buildings erected from the mid-1930s onwards in the Italian fascist era forms one of the largest extant urban examples of the modern language of form underlying the Italian razionalismo style. It is also, however, an exemplary instance of ethnically motivated urban planning, of actions driven by state terrorism, and of fascist colonial policy. It is not sufficient, therefore, to focus on form. Buildings themselves are not and cannot be evil. It is rather human endeavors which inscribe meaning into bricks and mortar. 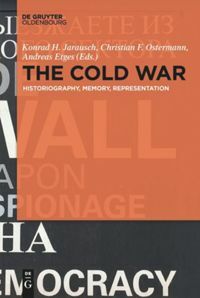 The contexts within which this happens—encompassing ideas, plans and their realization, intended effects and actual perceptions, the changes these undergo over time and the role of architectural works in cultures of memory—are what generate historical significance and as such call for historical analysis. Guckes, Joachim. “Ordnungsvorstellungen im Raum. Überlegungen zur deutschen Stadtplanungs- und Architekturgeschichte zwischen 1918 und 1945 aus kulturhistorischer Sicht.” Archiv für Sozialgeschichte 48 (2008): 661–702. Schweizer, Stefan. 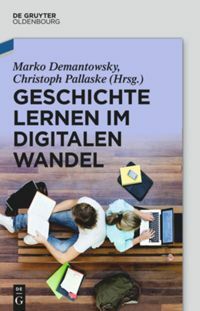 “‘Stil’, ‘Bedeutung’, ‘Wahrnehmung’. Genese und Entwicklung interdisziplinärer Architekturdeutung sowie ihre kulturwissenschaftlichen Perspektiven.” In Bauen als Kunst und historische Praxis. Architektur und Stadtraum im Gespräch zwischen Kunstgeschichte und Geschichtswissenschaft, eds. Stefan Schweizer, Jörg Stabenow, 21–83. Göttingen: Wallstein, 2006. Whyte, William. “How do Buildings mean? Some issues of interpretation in the history of architecture.” History and Theory 45 (May 2006): 153–177. Unesco. http://whc.unesco.org/en/decision/6883 (last accessed 07 October 2017). Bodenschatz, Harald/Sassi, Piero. “Beauty and crime. Asmara (Eritrea) in the UNESCO’s World Heritage List.” https://uedxx.net/2017/07/14/beauty-and-crime-asmara-eritrea-in-the-unescos-world-heritage-list/ (last accessed 06 October 2017). For more on findings of historiographical and art historical research, see Stefan Schweizer. The wholly insufficient classification of architecture as “immobile material resources” or its assignment to “historical sites” on the part of history didactics makes up the deficits. Katja Gorbahn, Die Geschichte des antiken Griechenland als Identifikationsangebot: Untersuchungen zur Konstruktion sozialer Identität in neueren Schulgeschichtsbüchern (Göttingen: V&R Unipress, 2001) 263–267. To further perspectives on the historicity of perception and ascriptions, see Schweizer, “‘Stil’, ‘Bedeutung’, ‘Wahrnehmung'”, 68–83. For more on the field of tourism, see Valentin Groebner, “Touristischer Geschichtsgebrauch: Über einige Merkmale neuer Vergangenheiten im 20. und 21. Jahrhundert,” HZ 296, (2013): 408–428. Whyte emphasizes the multiple transpositions: As a building is planned, built, inhabited, and interpreted, so does its meaning change. “Böse Bauten,” ZDF, is available online: https://goo.gl/MjZNu9 (last accessed 19 October 2017). Raphael Rosenberg, “Architekturen des ‘Dritten Reiches’. ‘Völkische’ Heimatideologie versus internationale Monumentalität,” in Die Politik in der Kunst und die Kunst in der Politik, ed. Ariane Hellinger (Wiesbaden: Springer, 2013): 57–86. As early as during the late 1970s, during the so-called “neoclassicism-debate,” the question, whether architecture per se represents meaning, was controversially answered. Differing positions persist until today. See: Guckes, “Ordnungsvorstellungen im Raum,” 690f. Harald Bodenschatz, “Städtebau und Diktatur: Denkräume erweitern!,” in Forum Stadt 1 (January 2014): 9–30, in particular 18. Vera Simone Bader, Moderne in Afrika. Asmara – Die Konstruktion einer italienischen Kolonialstadt 1889–1941 (Berlin: Gebrüder Mann, 2016). For more on the decision of the World Heritage Committee, see: http://whc.unesco.org/en/decisions/6883 (last accessed 8 October 2017). Additionally, see the critical post of Harald Bodenschatz and Piero Sassi: https://uedxx.net/2017/07/14/beauty-and-crime-asmara-eritrea-in-the-unescos-world-heritage-list/ (last accessed 8 October 2017). Bühl-Gramer, Charlotte: Can Architecture Embody Good and Evil? In: Public History Weekly 5 (2017) 36, DOI:dx.doi.org/10.1515/phw-2017-10283. Der Parthenon und das Kolosseum, die Aachener Pfalzkapelle und das Schloss Versailles, die Wartburg und das Reichstagsgebäude – historische Bauten gehören zum festen Bildrepertoire von Schulgeschichtsbüchern. Als außerschulischer Lernort wird ihnen hohes didaktisches Potenzial attestiert. Der Eiffelturm und die Sagrada Familia sind touristische Top-Sehenswürdigkeiten. Aber was bedeuten historische Bauten? Im Unterschied zu bildhistorischen Ansätzen bzw. der visual history befassen sich die historiographische und geschichtsdidaktische Forschung nur wenig mit der Architektur als Quelle und ihrer Funktion in der Geschichtskultur. Dabei gäbe es hier interessante Verbindungen: Denn Architektur wird in hohem Maße in Gemälden, Zeichnungen und Fotografien visuell repräsentiert und interpretiert, die ihrerseits Geschichtsbilder erzeugen und Epochenvorstellungen formieren. “Berühmte Bauten” werden zu klar identifizierbaren touristischen Markenzeichen und im Zuge ihrer weltweiten Zirkulation in visuellen Medien zu einer auf Bildwirkung hin ausgerichteten Architektur, die zum ikonischen Wahrzeichen eines Ortes oder einer bestimmten Zeit avancieren. In Schulbüchern dominiert dagegen die illustrative Funktion von Bauwerken: als bildliche Repräsentation politischer Institutionen oder Systeme (Reichstag), als positives Stilvorbild (Akropolis) oder als Beispiel architektonischer Kulturleistung (gotische Kathedrale). Die unterschiedlichen Potenziale der Beschäftigung mit Architekturrepräsentationen im Medium Bild und mit Architektur vor Ort und im Raum werden auch in der Geschichtsdidaktik betont. Für die zweite Variante werden Realität und Permanenz von Bauwerken, ihre Anschaulichkeit und sinnliche Wahrnehmbarkeit, die Authentifizierung von Vergangenheit durch physische Evidenz und die Sichtbarwerdung von Zeit als zentrale Aspekte angeführt. Doch in welchen Zusammenhängen stehen historische Architektur und historische Wirklichkeit? Allzu schnell ist von Eindeutigkeiten die Rede. Architektur wird als Emanation einer historischen Realität und einer historischen Epoche verstanden, Bauwerke und architektonische Vorstellungen werden mit gesellschaftlichen Normen und Praktiken parallelisiert und die Bedeutung des Bauwerks wird im Abbild politischer, kultureller oder sozialer Verhältnisse gesehen. Form und Material avancieren dadurch zu symbolischen Bedeutungsträgern einer Epoche oder von Zeitgeist, die überdies selektiv verwendet werden. Als Beispiel sei hier auf Schulbuchabbildungen verwiesen, mit denen die Rezeption antiker griechischer Architekturformen (Parthenon) in Prestigebauten aus Europa und den USA (Brandenburger Tor, Parlamentsgebäude in Wien, Kapitol in Washington) visualisiert wird. Klassizistische Gebäude, die etwa mit kolonialer Herrschaft und Unterdrückung in Verbindung stehen, bleiben dagegen ausgespart. Einen Ausweg aus dem epistemologischen Problem von Architektur als Abbild oder Übersetzungsleistung sozialer, mentaler, gesellschaftlicher oder politischer Kategorien und aus der Deutungspraxis der Zuschreibung einer gesamtkulturellen Aussagefähigkeit bietet eine Architekturinterpretation, die die Historizität der Wahrnehmung und die Wandelbarkeit von Sinnzuweisungen in den Blick nimmt. Denn neue Gebrauchszwecke und Umnutzungen von Bauwerken, bewusster Verfall, konservierender Ruinenstatus, neue Repräsentationszwecke, ein Wandel zur touristischen Sehenswürdigkeit, die Neu- oder Wiederentdeckung eines künstlerischen Werts und eines Erinnerungswerts oder die Zuschreibung von historischer Relevanz modifizieren die Sinnzuweisungen und damit auch die Wahrnehmungszusammenhänge. Architektonische Bedeutung ist also nicht zeitlos und stabil, sondern dynamisch und polyvalent. Wertende normative Architekturkategorien erzeugen dagegen Schieflagen, denn in Material und Form per se liegt keine Weltanschauung. Steine tragen wenig bis gar keine Bedeutung, so dass politische Zuschreibungen von Baukörpern oder moralisierende qualitative Abwertungen nicht weiterführen. Bauwerke sind weder gut noch böse – auch wenn eine mehrteilige TV-Dokumentation Bauten des Nationalsozialismus als “böse Bauten” betitelt. Raphael Rosenberg hat erneut darauf verwiesen, dass die berühmt-berüchtigten Monumentalbauten der NS-Zeit im Stil des reduzierten Klassizismus erbaut wurden, “der international für Regierungsgebäude en vogue war” und nicht als charakteristischer oder gar symbolischer Ausdruck der nationalsozialistischen Ideologie gewertet werden kann. Ihren Zweck, die Demonstration von Größe und Macht des totalitären Regimes, haben die Gebäude erfüllt, ihre Botschaft war expliziert intendiert. Doch dieselben Formen konnten auch mit entgegengesetzten Botschaften aufgeladen werden. Der diktatorische Charakter ist also nicht durch die Aufzählung formaler Aspekte wie Pfeiler und Säulen, Steinverkleidung, Monumentalität und Symmetrie oder Achsen ausreichend zu klären. Das zeigt nicht zuletzt Asmara, die Hauptstadt von Eritrea, die im Juli dieses Jahres zum Weltkulturerbe erklärt wurde. Die im italienischen Faschismus ab Mitte der 1930er Jahre errichteten Gebäude bilden eines der größten erhaltenen städtebaulichen Ensembles der modernen Formensprache des italienischen razionalismo. Sie sind aber zugleich ein Beispiel für einen ethnisch motivierten Städtebau, für staatsterroristisches Vorgehen und für faschistische Kolonialpolitik. Die Fokussierung auf die Form genügt nicht. Es sind keine “bösen Bauten”, da die Menschen den Steinen Sinn einschreiben. Diese Kontexte, die Pläne, Ideen und ihre Umsetzung, die Wirkungsabsichten und Wahrnehmungsweisen, ihre Veränderungen und erinnerungskulturellen Funktionen bedürfen der historischen Analyse. Sie generieren historische Bedeutung. Guckes, Joachim. “Ordnungsvorstellungen im Raum. Überlegungen zur deutschen Stadtplanungs- und Architekturgeschichte zwischen 1918 und 1945 aus kulturhistorischer Sicht.” Archiv für Sozialgeschichte 48 (2008): 661-702. Schweizer, Stefan. “‘Stil’, ‘Bedeutung’, ‘Wahrnehmung’. Genese und Entwicklung interdisziplinärer Architekturdeutung sowie ihre kulturwissenschaftlichen Perspektiven.” In Bauen als Kunst und historische Praxis. Architektur und Stadtraum im Gespräch zwischen Kunstgeschichte und Geschichtswissenschaft, edited by Stefan Schweizer, Jörg Stabenow, 21-83. Göttingen: Wallstein, 2006. Whyte, William. “How do Buildings mean? Some issues of interpretation in the history of architecture.” History and Theory 45 (May 2006): 153-177. Unesco. http://whc.unesco.org/en/decision/6883 (letzter Zugriff: 07.10. 2017). Bodenschatz, Harald / Sassi, Piero. “Beauty and crime. Asmara (Eritrea) in the UNESCO’s World Heritage List.” Verfügbar unter: https://uedxx.net/2017/07/14/beauty-and-crime-asmara-eritrea-in-the-unescos-world-heritage-list/ (letzter Zugriff: 06.10.2017). Vgl. die Befunde zur historiographischen und kunstgeschichtlichen Forschung bei Stefan Schweizer. Die geschichtsdidaktisch völlig unzureichende Qualifizierung historischer Bauwerke als “immobile Sachquelle” oder ihre Zuordnung zu “historischen Orten” ist beredtes Zeugnis für diese Defizite. 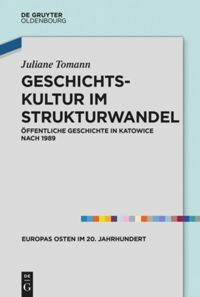 Katja Gorbahn, Die Geschichte des antiken Griechenland als Identifikationsangebot: Untersuchungen zur Konstruktion sozialer Identität in neueren Schulgeschichtsbüchern (Göttingen: V&R Unipress, 2001) 263-267. Zu den Perspektiven einer Wahrnehmungsgeschichte von Architektur vgl. Schweizer, ‘Stil’, ‘Bedeutung’, ‘Wahrnehmung’, 68-83. Für den Tourismus vgl. Valentin Groebner, “Touristischer Geschichtsgebrauch: Über einige Merkmale neuer Vergangenheiten im 20. und 21. Jahrhundert,” HZ 296, (2013): 408-428. Whyte betont überdies eine Bedeutungsvielfalt von historischen Bauten von der Idee, zum Plan, über den Bau bis zur Nutzung. “Böse Bauten”, ZDF, verfügbar unter: https://goo.gl/MjZNu9 (letzter Zugriff: 19.10.2017). Raphael Rosenberg, “Architekturen des ‘Dritten Reiches’. ‘Völkische’ Heimatideologie versus internationale Monumentalität,” in Die Politik in der Kunst und die Kunst in der Politik, ed. Ariane Hellinger (Wiesbaden: Springer,2013): 57-86. Im sog. Neoklassizismus-Streit seit Ende der 1970er-Jahre wurde die Frage, ob Gebäude per se, ohne Kontext eindeutige Botschaften vermitteln, bereits kontrovers diskutiert. Unterschiedliche Positionen dazu bestehen bis heute. Vgl. Guckes, “Ordnungsvorstellungen im Raum,” 690f. Harald Bodenschatz, “Städtebau und Diktatur: Denkräume erweitern!,” in Forum Stadt 1 (Jänner 2014): 9-30, hier S. 18. Vera Simone Bader, Moderne in Afrika. Asmara – Die Konstruktion einer italienischen Kolonialstadt 1889–1941 (Berlin: Gebrüder Mann, 2016). vgl. die Begründung des Welterbe-Titels, verfügbar unter: http://whc.unesco.org/en/decisions/6883 (letzter Zugriff: 08.10.2017) und den kritischen Post von Harald Bodenschatz und Piero Sassi: https://uedxx.net/2017/07/14/beauty-and-crime-asmara-eritrea-in-the-unescos-world-heritage-list/ (letzter Zugriff: 08.10.2017). Bühl-Gramer, Charlotte: Gute Bauten – Böse Bauten? In: Public History Weekly 5 (2017) 36, DOI:dx.doi.org/10.1515/phw-2017-10283. Ganz richtig stellt Charlotte Bühl-Gramer hier fest, dass Gebäuden als historische Quelle noch immer zu wenig Aufmerksamkeit geschenkt wird. Zwar öffnet sich die deutschsprachige Geschichtswissenschaft seit den 2000er Jahren immer mehr dem Forschungsfeld der Materiellen Kultur – alles Bauliche aber wird zumeist den Anthropologen oder Kunsthistorikerinnen überlassen; im englischsprachigen Raum ist «Hausforschung» zumeist Betätigungsfeld wissenschaftlicher Spezialbereiche wie der Cultural Heritage oder der Historischen Archäologie. Das erstaunt insofern, als dass Menschen schon immer in ständiger Verbindung und andauerndem Austausch mit ihrer gebauten Umwelt standen. Und das betrifft nicht nur, wie die Autorin hier plausibel darlegt und zuletzt in einer Untersuchung von Anke Rees am Beispiel der Schiller-Oper in Hamburg gezeigt, öffentliche Bauten mit politisch-ideologischer Konnotation. Die Frage, wie eine breite Masse in der Vergangenheit lebte, entzündet sich doch massgeblich in und um das Haus als sozio-ökonomischer Dreh- und Angelpunkt historischer Akteure, von denen der überwiegende Teil keine schriftlichen Quellen zurückgelassen hat. Insofern liegt im Befragen «häuslicher Hinterlassenschaften» eine grosse Chance, historisches Alltagsleben zu rekonstruieren, um auf diese Weise wechselnden Lebenswelten und -bedürfnissen, sozialen Differenzierungen und Integrationen materiell auf die Spur zu kommen. Dieser Gedanke ist natürlich nicht neu, wurde aber viel zu lange einer Historiografie überlassen, deren Selbstzweck die Verbreitung nationalromantischer Vorstellungen gewesen ist. So wie es, von Charlotte Bühl-Gramer im Artikel aufgezeigt, keine «guten» oder «bösen» Gebäude geben kann, so wenig lassen sich Häuser in klischierte Typen wie «Bürger- oder Bauernhaus» klassifizieren. Indem Gebäude in ihren wirtschaftlichen und sozialen Kontexten erforscht werden, kann das Aufbrechen solcher Vorstellungen gelingen.